Your window openings are important points for the purpose of ventilation of your rooms. At the same time, these points need to be protected too against any kind of external intrusion to your property, and also to provide protection from the elements of weather. The roller shutters are modern solutions to security of your windows. 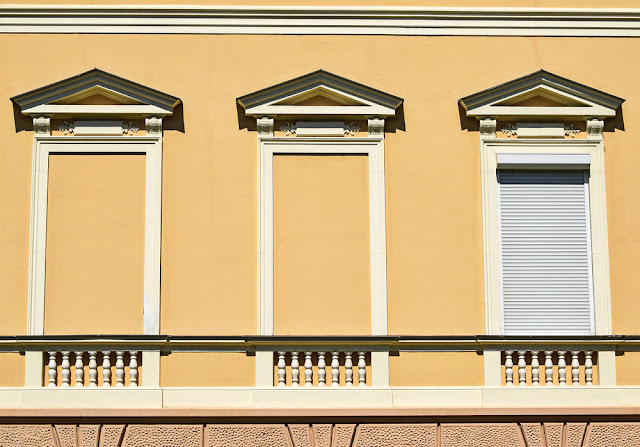 The roller shutters come in different types to fit into your windows comfortably, which while providing maximum protection acts almost like a wall when closed. Most leading manufacturers take care to make them tamper-proof using the right kind of modern technology in making them. The shutters are usually custom built as per the specification of the building, and can also be painted to suit the outer façade. For reasons of security, window shutters are usually made out of durable metals tested to withstand forces form outsides. The window security shutters are usually made out of galvanized steel or aluminum, both of which can resist forces such as high wind speed in stormy area, as well as external intrusion attempts like burglary or vandalism. Most reputed companies take care to test them to stand against pressure and certify the resistance capacity too. These shutters can act as alternative systems of security, or in combination with other security measures such as guards and alarms. Most of the external window shutters are certified to be durable by manufacturers that will ensure your security investments on a long-term basis. With timely maintenance, shutters will secure you for years to come. The security shutters can be installed at the time of construction, and operate with the window as a single unit. In such cases, the roller box will not be visible on the outside wall but fixed inside the wall. You can also install them after construction, and the modern designed roller boxes will not mar the façade décor either. While installing the window shutters, you can also install protecting screens too within the roller that will facilitate your protection system against small insects when open. All modern window shutters are automated for the purpose of easy operations, either by the wall mounted button, and even by a remote control device that can be your mobile too. You can have them automatically closed or opened via a timer too. In case you have an old window shutter for your security purpose that is manually operated, you can get it automated too without having to invest in total replacement of the system. The window security shutters function very much like the screen shutters that protect large commercial properties. Since the coming of automated version of the window shutters, their operation has become not just easy, but are noiseless too. The roller spring that operates the rolling functions up and down takes care of these factors. Moreover, the shutter curtain is manufactured to form a strong sheet like curtain by hinging individual slats together. The shutters are also fortified by including a locking system at the bottom that do not bend easily and is anti-lift too. The window shutters, apart from providing much needed protection from human intrusion possibilities, also act as a part of effective heat management system by retaining inner heat or cool temperature during winter and summer respectively. Some security windows are made out of the insulated material too, especially in places that have to withstand extremities of temperature. Modern shutters apart from providing top class security to your property also come in different color finish that will complement the decor of your building façade. You can therefore enhance the beauty of your building, as well as protect it from the harsh elements of nature.